The 5 pound bag of SOUR MichiGummies is for the serious SOUR MichiGummies connoisseur! Whether you’re having a party (this is great for weddings) or you just need a serious amount of delicious sour gummies to brighten up your cold, dark Michigan winter, this is your best choice. 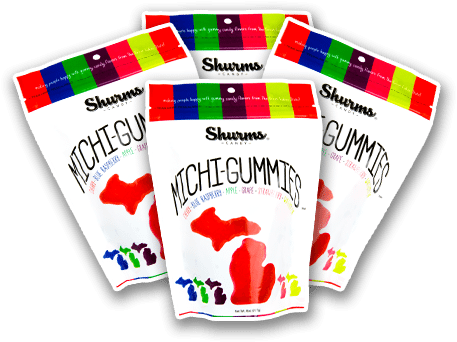 SOUR MichiGummies are the best sour gummy candy you will ever try – and it’s in the shape of our great state (both upper and lower peninsulas)! Each package contains all 6 fruit flavors of Michigan: cherry, raspberry, apple, grape, strawberry and watermelon. 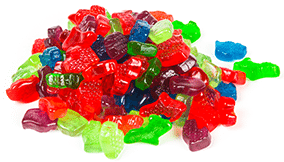 And they have just the right amount of sour – they are not overly sour like some other sour candies.